Female aptera. Body and legs yellow, apex of abdominal segment X dark brown; antennal segments V–VIII pale brown, VI yellow at base. Antennae 8-segmented; segment I without dorsoapical setae; III–IV with small simple sensorium. Head projecting in front of eyes; ocelli not developed; 3 pairs of ocellar setae, pair III close to compound eyes. Maxillary palps 2-segmented. Pronotum wider at posterior than anterior, without long posteroangular setae. Mesonotal-metanotal transverse suture complete medially; metanotal campaniform sensilla present. Prosternal ferna oval, but usually with weakly sclerotised extension anteromedially, bearing one pair of setae. 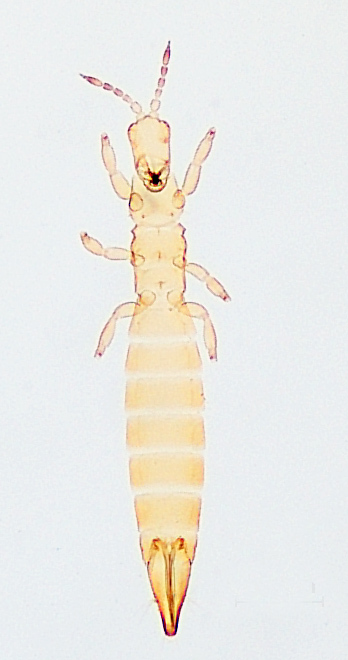 Tergites II–VIII with finely toothed craspedum; tergite IX medio-dorsal setae short. Sternites II–VII with about 6 small discal setae in median transverse row, craspedum not developed. The genus Caprithrips includes 6 species, from various parts of the world. They are all wingless grass-lliving species, and a key to these is provided by Bhatti (1980). 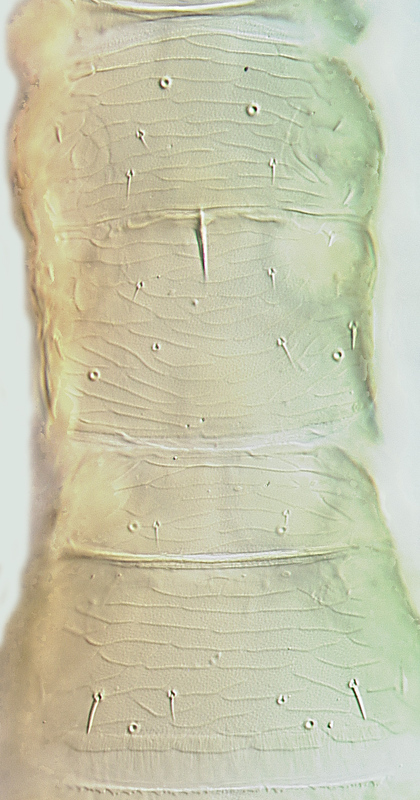 Most specimens of C. moundi have the prosternal ferna forming a characteristic median plate, but this is sometimes so weakly sclerotised that only the pair of transverse oval sclerites are visible. 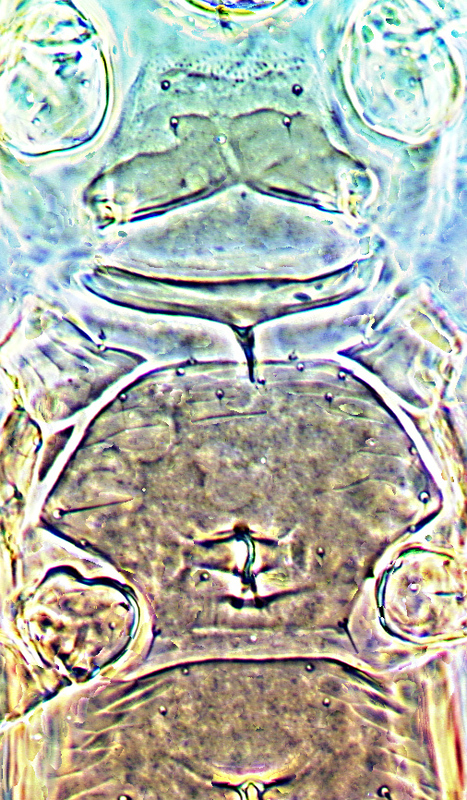 This species has 8-segmented antennae, but the sternites lack craspeda in contrast to the other members of the genus. Southern Australia, Australian Capital Territory. Native grasses, particularly Poa species (Poaceae). Bhatti JS. 1980. Revision of the genus Caprithrips with descriptions of two new species from India and Australia. Australian Journal of Zoology 28: 161-171.